Root canals are typically needed when the tooth is severely damaged, the patient is in constant pain, or the nerve has been infected with decay. To prevent further infection and damage, the nerve canals are cleaned and filled to prepare the tooth for a final restoration (ex: crown or filling). X-rays and testing the nerves are typically necessary to make an accurate diagnosis. Note that pain is not the deciphering factor of needing a root canal and some long-lasting cavities can be pain free. The procedure is typically pain free, similar to a regular filling, except if the treatment is delayed to the point where the infection grows to extreme levels. Although we aim to preserve your natural teeth, there are instances in which they may need to be removed (ex: extensive damage or wisdom teeth.) We ensure that our patients feel no discomfort during the procedures through our patient-oriented protocols. For more information on wisdom teeth removal, visit our blog. Dental implants is the most ideal approach to replace teeth. An implant consists of three parts: a titanium screw (implant), an abutment (this is used to connect the crown to the implant) and a final crown. Consisting of a few appointments, the doctor will measure, design, deliver, and fit the implant to your liking. Noted that if there is a lot of bone or gum loss, a bone or gum implant may be necessary before completion of the implant treatment. Additionally, bone or gum implants may be recommended in some cosmetic cases to meet your esthetic needs. Dr. Camacho has over 7 years of training applying digital technology exclusively to patients. 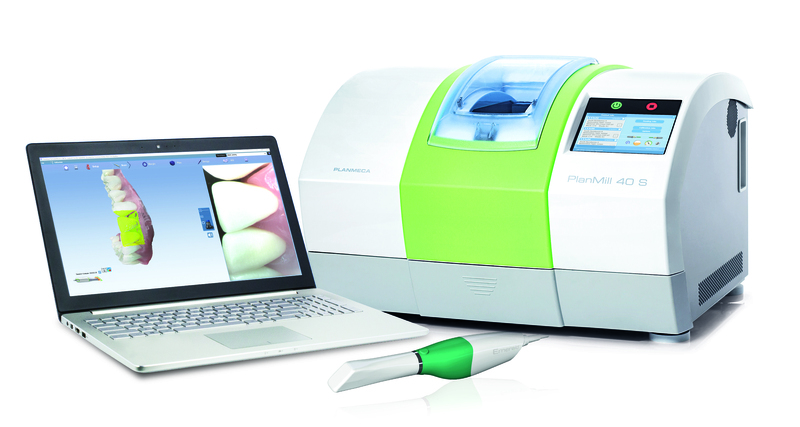 We have used the popular CEREC chairside system, and recently switched to PlanScan. We believe that the software creates more esthetically pleasing restorations and cuts down on the design process, which saves on patient chair time. The handheld camera is more accurate capturing details in the mouth, creating a more precise and tighter fit which can lead to longer lasting restorations. Digital dentistry can scan your entire mouth in a quick, clean, and comfortable way, without having to get gooey impressions. 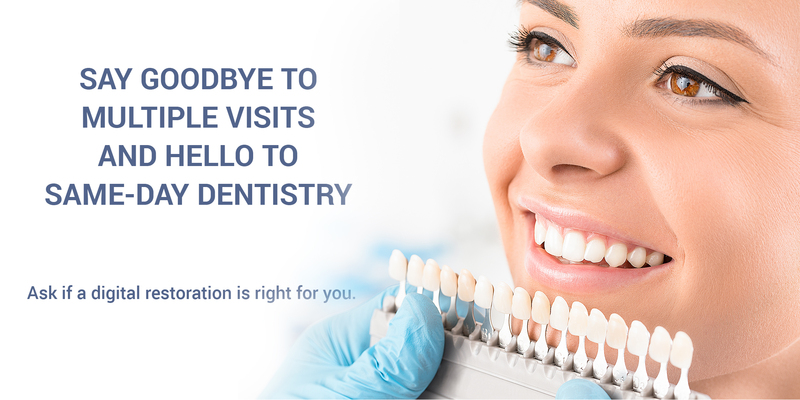 Your final restoration/tooth is designed so precisely that it feels and looks like your natural teeth. In our office, we incorporate patient feedback during the design process. Who said dentistry couldn’t get more exciting!? Now you can go back to work after your lunch break with a new tooth in place. Save time, money, and avoid temporaries!